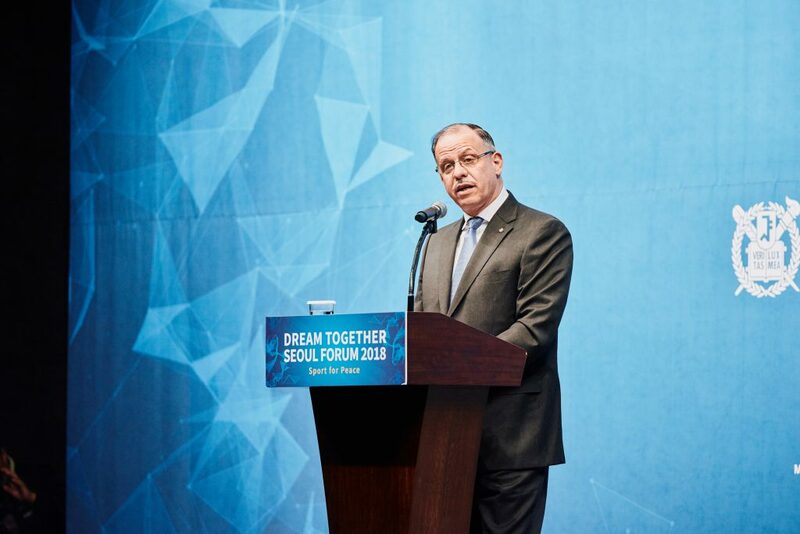 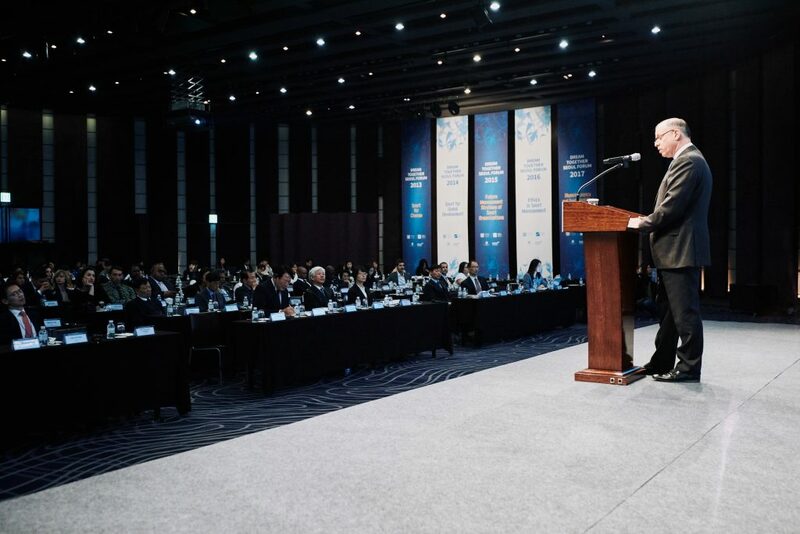 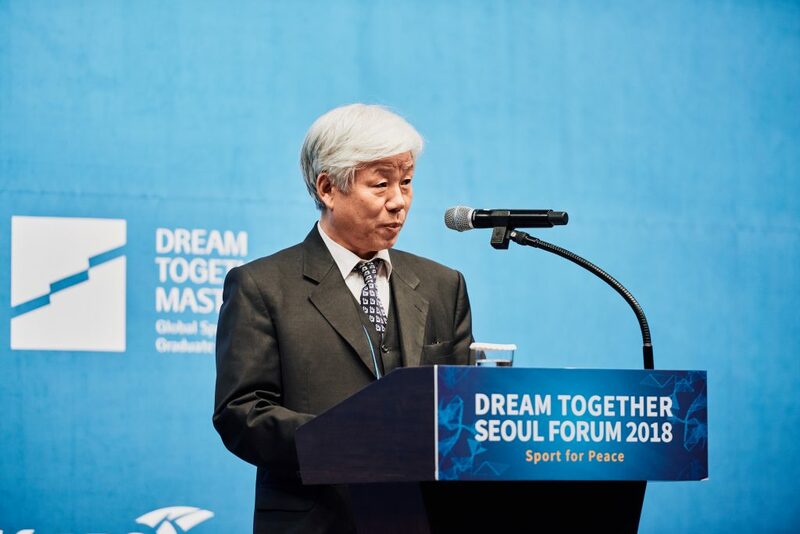 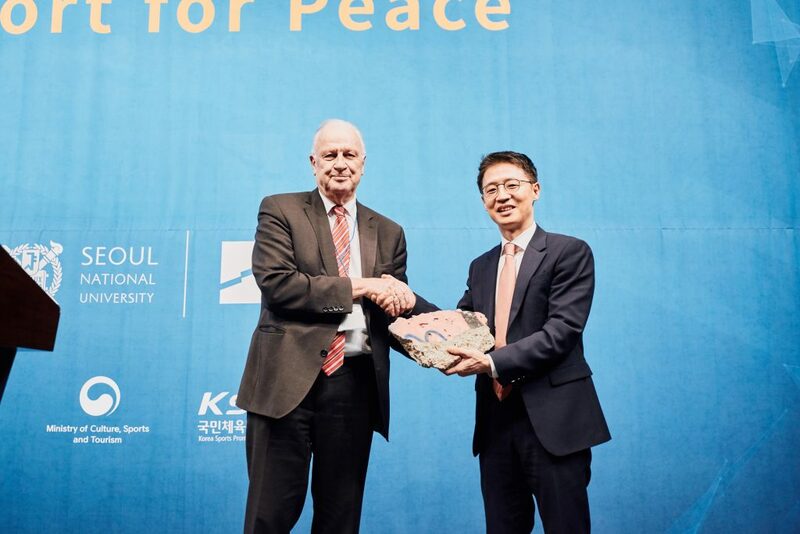 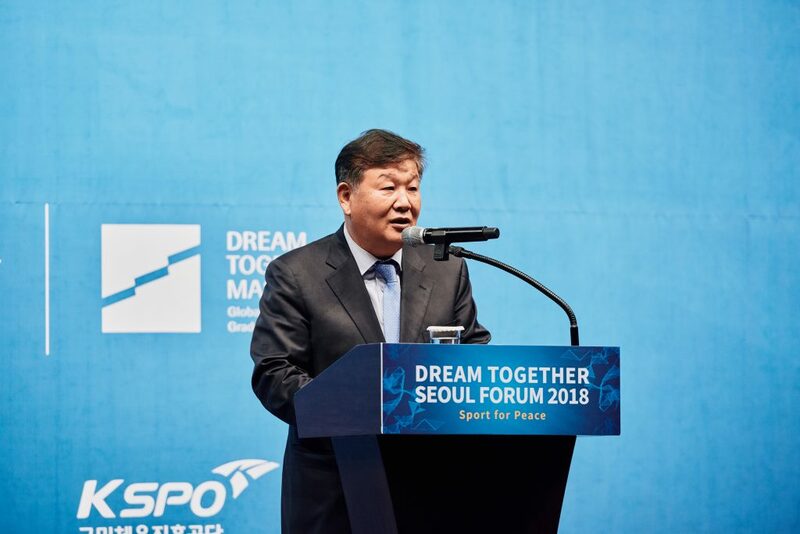 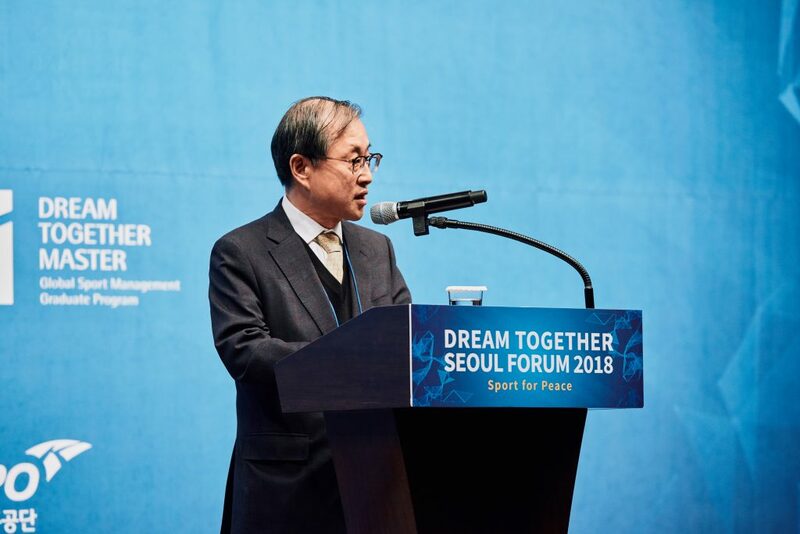 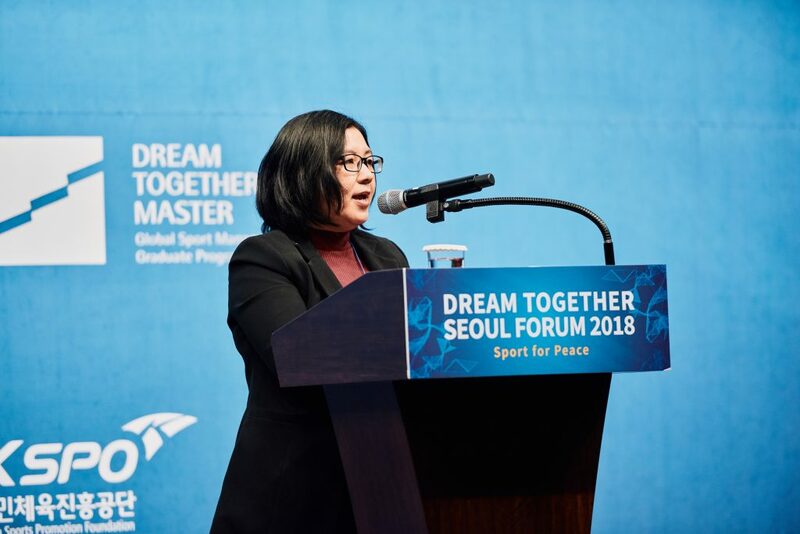 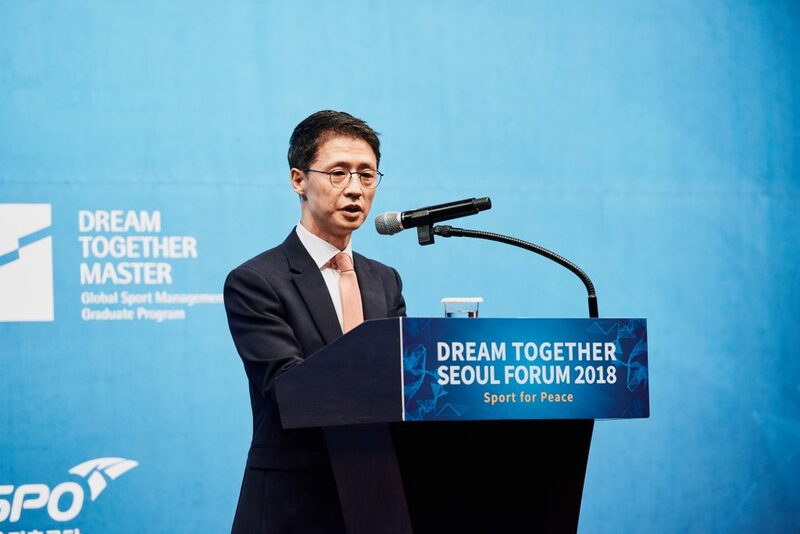 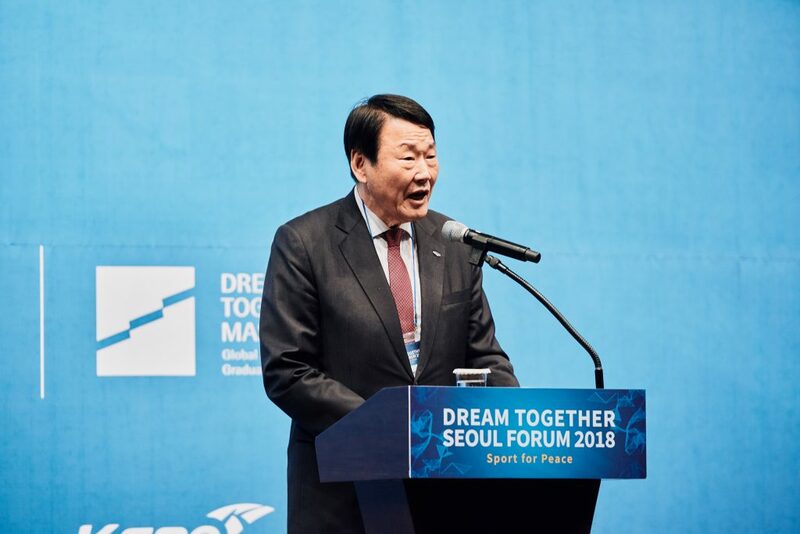 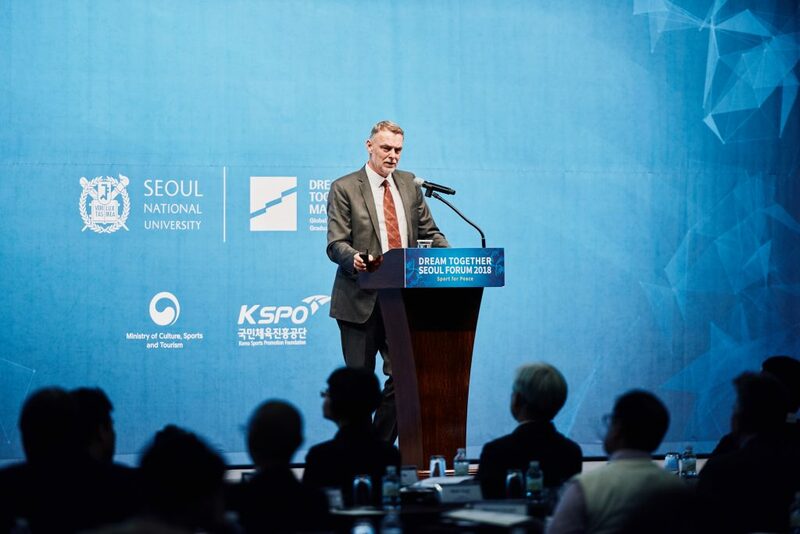 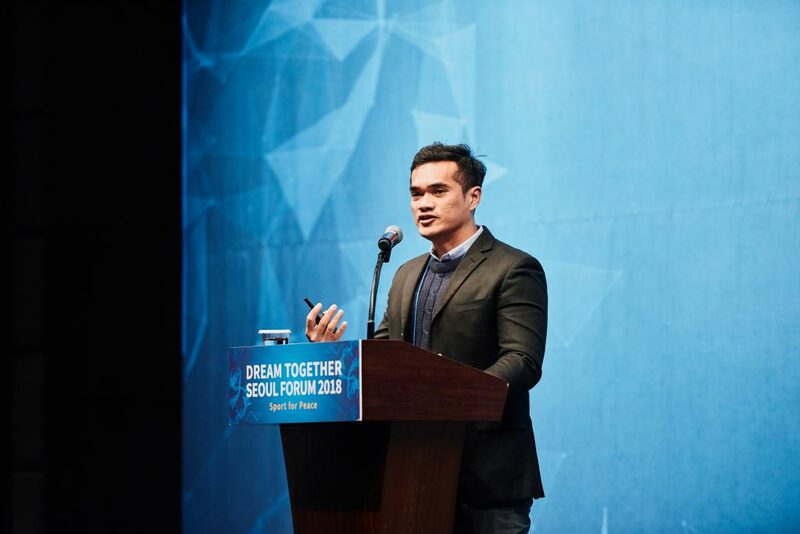 Dream Together Seoul Forum 2018 was held on Thursday, November 1st, 2018 (14:00 to 18:30) at Grand Ballroom, Westin Chosun Seoul, Republic of Korea. 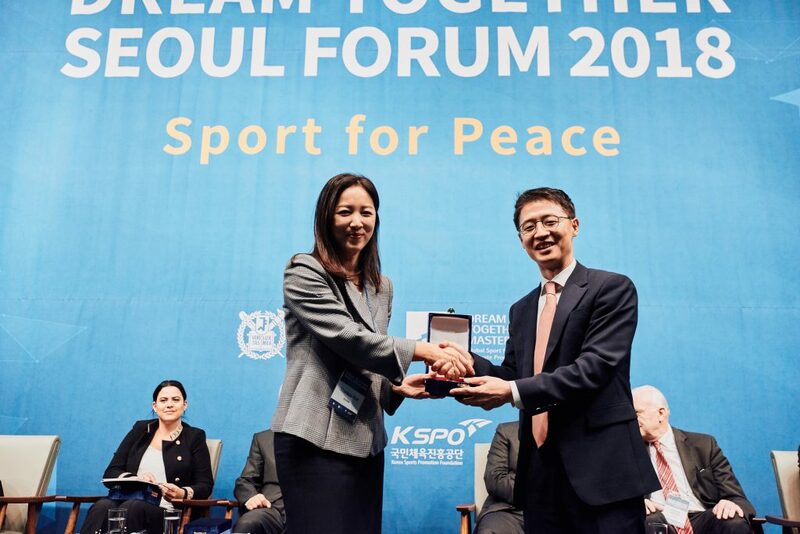 This year’s forum addressed the topic of “Sport for Peace” for peaceful and better world. 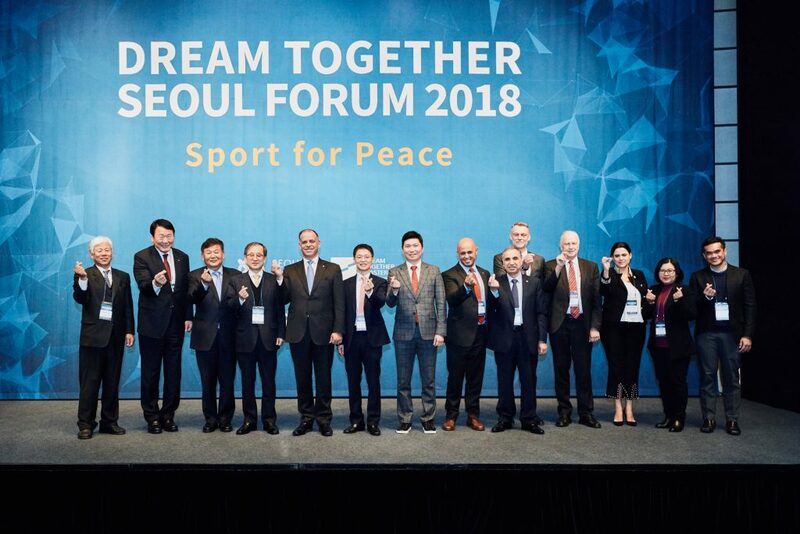 This year, our forum aims to address the good examples of peace-building through sport and discuss how sport can not only bring peace but also encourage a culture of peace for better world. 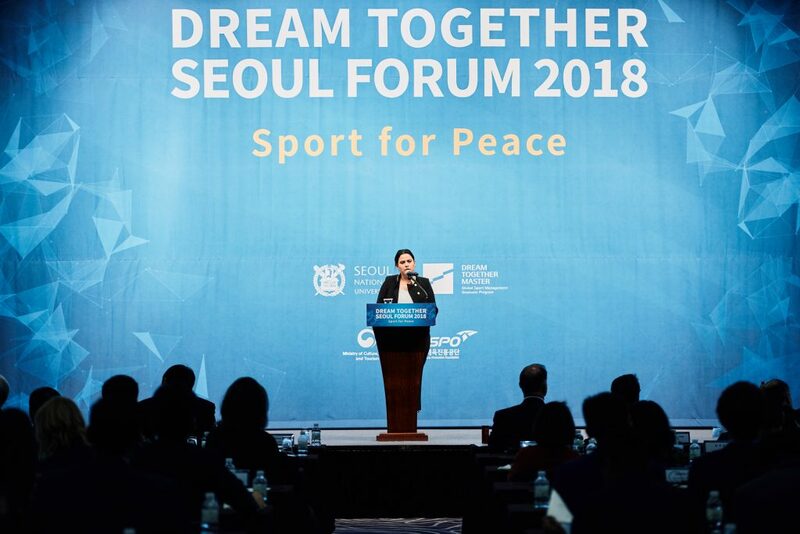 The forum is an annual, one-day event that includes a key note speech and presentations from global sport leaders, as well as a panel discussion session with the all presenters and Dream Together Master students to discuss various key issues regarding sport for peace. 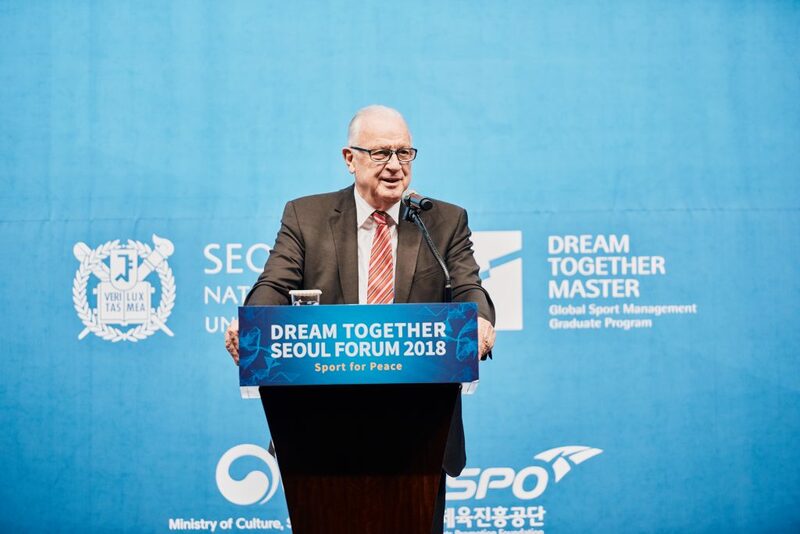 HRH Prince Feisal Al-Hussein, IOC Member, was a keynote speaker; Manfred Laemmer, Professor of German Sport University Cologne, spoke about the German unification and sport integration between West and East Germany; Beatriz Mejia, Executive Director and Founder of International Group for Peace, addressed sport project to remedy the civil war in Colombia; Mike Cronin, Professor of Boston College Ireland, mentioned about the religious conflict resolution through sport; Young-il Na, Professor of Seoul National University, presented the policy direction of South and North Korea’s sport exchange; Ramona Mohd Razali, Deputy Secretary General and 3rd batch Dream Together Master alumnus Norkamarul Norzam, Special Officer to the Secretary General, Ministry of Youth and Sports Malaysia introduced the case of sport multiracial unity.